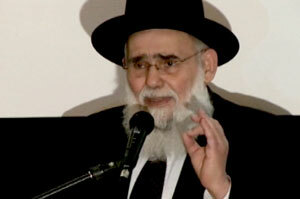 Since 1978, Rabbi David Sabbah has served as the Sephardi Chief Rabbi of Quebec. Born in Marrakesh, Rabbi Sabbah studied at the Ecole Normale de Casablanca and the Ecole Normale Israelite Orientale in Paris. An Associate Professor of Theology at Laval University, Rabbi Sabbah has formed a partnership between the University and the Chief Rabbinate of Quebec for the establishment of a theology program. The Rabbi has encouraged a spirit of understanding between the Sephardi community and its non-Sephardi neighbors. At one of Montreal's largest Jewish events in recent history, close to 2,000 men and women gathered for a memorial service in honor of the slain Mumbai Shluchim.